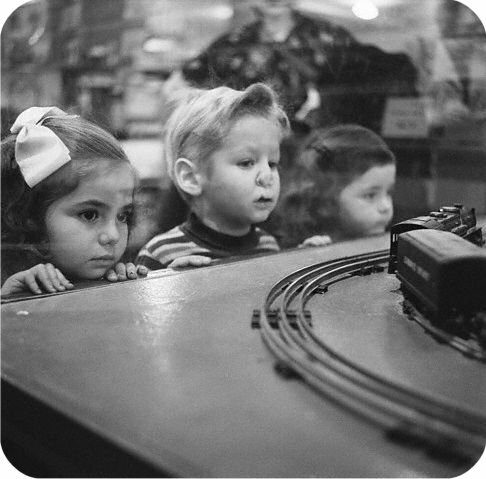 The REEF Development Company was incorporated in 1990 for the express purpose of developing and marketing a toy train inventory software product. In other words, trains are in the company’s DNA too. Well, it’s not exactly a we....yet. I am Steven Serenska. I began work on TrainTracker in late 1989. The original project was the result of a good idea, a few phone calls, and a series of productive meetings with Dr. Bruce Greenberg, founder of Greenberg Publishing. The first version of TrainTracker took over a year to write. There were several reasons for this including the fact that it was the first software program I had ever written. In addition, all of the materials needed to support a nationally marketed, consumer-oriented product (e.g., manuals, packaging, data, a corporation, etc.) had to be developed from scratch. Plus, my wife and I were living in Spain at the time. Did I mention we were expecting our first child? TrainTracker sold almost 500 copies in 1990, its first year on the market. This was amazing when you stop to consider the number of home PCs that were in use at the time. Sales built slowly but steadily until thousands of copies had been sold. I sold my interest in TrainTracker at the end of 1999. In late 2003, for a variety of reasons, I decided that it was time to get back into trains in a big way. We built a family layout and even documented it on a website. But it still wasn’t enough. TrainMinder is the culmination of a number of ideas I have been keeping track of over the past few years. I didn’t want to get back into the toy train software racket just to have another clone of the perfectly good inventory software that’s already out there. The rise of the Internet, eBay, people’s knowledge of computers in general — plus the fact that I think I have a better idea — all tell me that the time for trainMinder is right. I will be forming a new company to support the development and marketing of trainMinder. I’ll also be writing a few other programs to track other collectibles. At first, the “company” will consist of just one or two employees (a.k.a., “Mom & Pop”). Not surprisingly, the company will be headquartered in the basement of our home in Bristol, Rhode Island. Once I finish the first version of the product and begin a serious sales and support effort, I’ll work on finding a more permanent location. Until then, thank you very much for your interest in trainMinder and The REEF Development Company. “We” look forward to serving you soon!